In 2 days one of our posts reached 27,000 with almost 2,000 likes and other engagement. 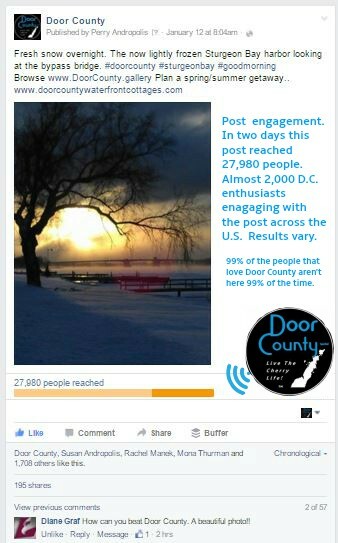 In two days – one post reached over 27,000 with almost 2,000 likes and other engagement. 99% of the people that love Door County aren’t here 99% of the time. Contact us today to see how you can leverage of channels and national fan base.